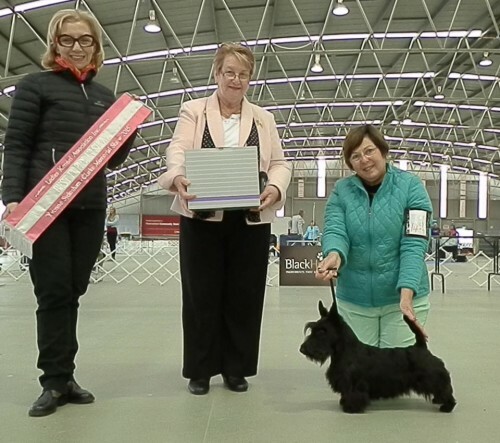 Achievements: Sassie has taken the show world by storm and has gained her Supreme Championship in style at 21 months. 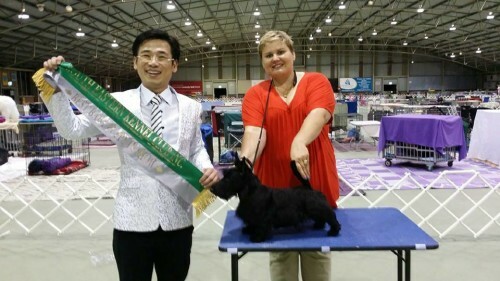 She gained her championship title at 6 months of age winning her first BIG at 6 months and 1 day. 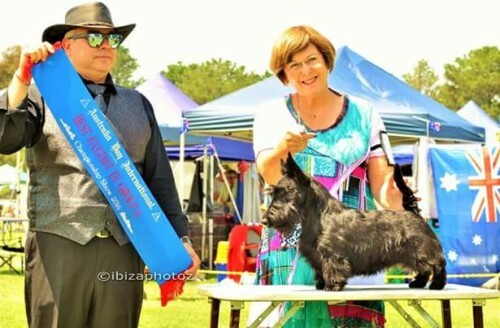 Multi Runner Up Best In Show, Multi Best in Group, and Challenge Specialty winner and Multi Class in show winner at Specialities. 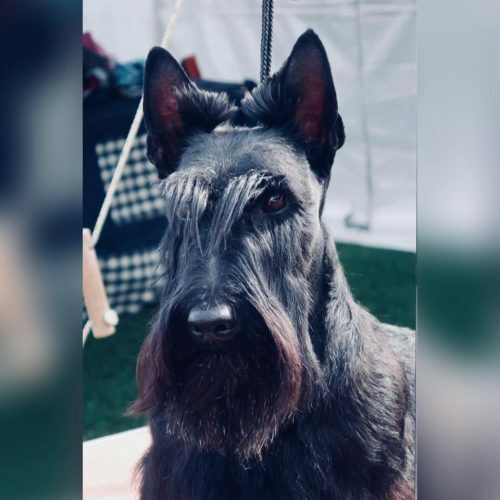 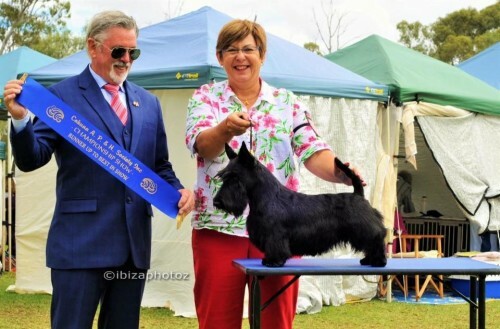 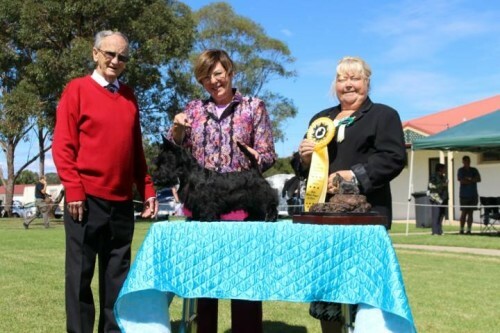 Sassie was the FIRST female Scottie in Australia to gain her Supreme title (sister Rebel was the second), at 10 inches tall she is very feisty in temperament with an excellent smooth free, reaching gait.